Luguang Electronic Technology started out as a manufacturer of electronic components in 2002 in mainland China. 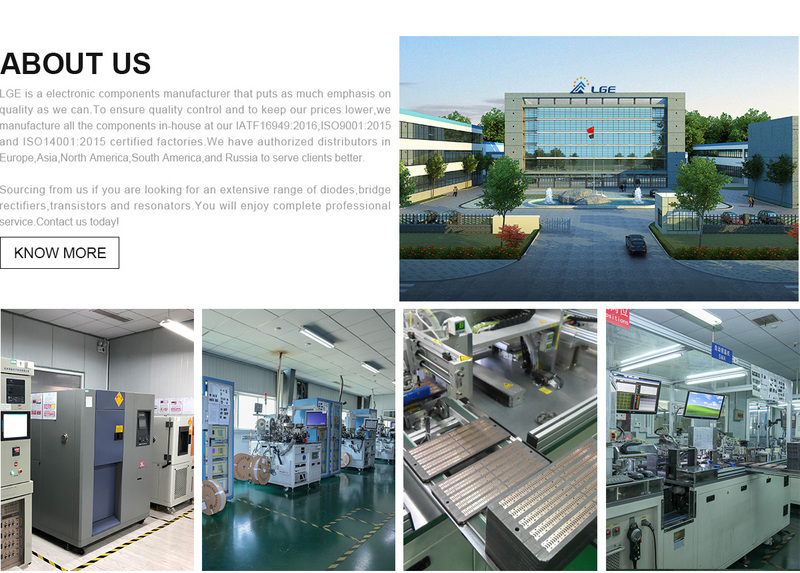 Today, we have grown to become one of the largest makers of axial plastic diodes, glass passivated diodes, surface mount diodes, bridge rectifiers, transistors for digital products, lighting products, as well as other consumer electronics. Our two ISO 9001-certified factories have a total of 10 production lines and are operated by more than 300 workers capable of producing millions of units per month. Our 20-man R&D team, with an average experience of 15 years, produces 2 new models monthly. We also maintain a fruitful technical knowledge exchange with engineers from Shandong University. This provides us with the expertise to complete your specifications accurately. Our continuous partnership with 100 raw material suppliers ensures the quality of our products and speedy one-week delivery. By having our own molding facility, we make sure your orders are defect-free.